Exposure to the rising temperature and extreme ambient heat may post a number of health risks to individuals across all ages. Our bodies generate internal heat from the different metabolic processes in our body, and our exposure to conditions where the temperature rises beyond the usual compromises our body’s capacity to regulate temperature especially during continuous activity. According to the World Health Organization, extended exposure to high temperatures causes cumulative physiological stress to the body which may aggravate chronic illnesses such as respiratory diseases, cardiovascular diseases, renal diseases, and even diabetes. Even if we’re not suffering from these chronic medical conditions, the physiological stress brought about by high heat may still lead to life-threatening emergencies like heat stroke. Although we cannot change the climate nor the environment we live in, we can still prevent these possible fatal incidents through better dietary practices. As a preventive measure, we are always reminded to stay hydrated. And water has always been the answer to dehydration as well as many ancient ails. • Ensures kidneys filter out wastes from the body. COOL DOWN, DRINK UP. 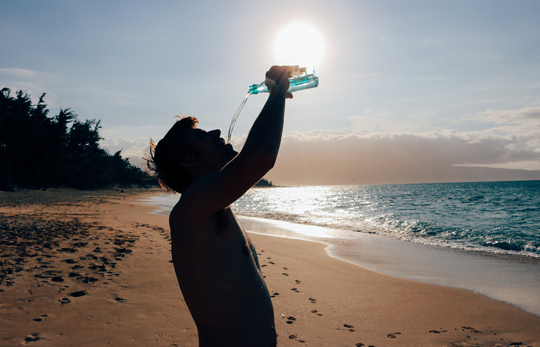 A registered nutritionist-dietitian strongly advises staying hydrated, drinking water, and reducing consumption of sugar-laden and caffeinated beverages during the hot summer season. Perspiration is the most visible sign of water leaving our body. However, even in the absence of perspiration, water is still lost through other channels such as urine, feces, and evaporation from the skin and lungs. Our respiratory system alone expires a bit amount of valuable water vapor. Thus, water lost should be replaced and there are more ways than one to do that. Although sugar urges us to hydrate more, increasing consumption of sugary drinks may also not be helpful. High-sugar beverages are those that have more than 25 percent of total energy coming from sugar such as sodas, juices, sports drinks, and others. Artificial sweeteners in beverages are also found to increase our desire for sweetened food and beverages. 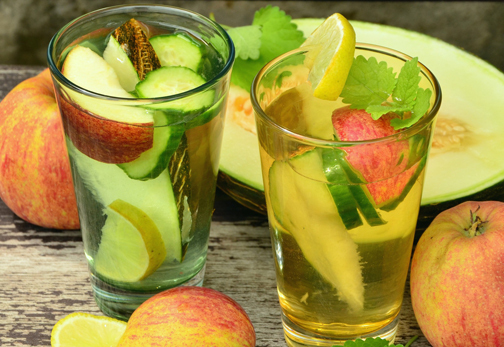 Adding slices of fruits, especially the citrus family, to water makes the flavor more appealing and will help in drinking more water. Plus, you don’t need to worry about the extra calories while you hydrate. The Pinggang Pinoy developed by the Department of Science and Technology-Food and Nutrition Research Institute recommends drinking five to nine glasses of water. 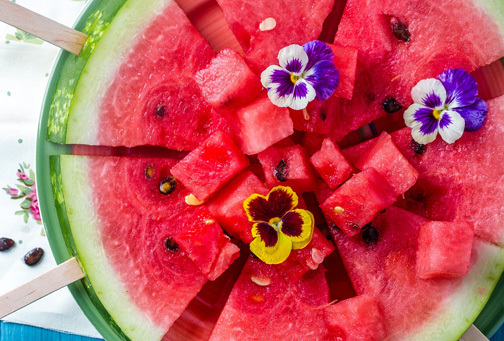 This recommendation does not include juicy fruits and vegetables such as watermelon and cucumber, which have high moisture content. Not only do these food items nourish us with nutrients but also aids in hydration. Caffeine, a naturally occurring compound in coffee, cacao, and tea, has been known as a potent diuretic (i.e., increases urine output). Meaning, as you increase your intake of caffeinated drinks, you urinate more often. As this is the case, you will also have to increase your water intake. Coffee, chocolate, and teas are not at all bad. In fact, they have their own nutritional benefits, too. Consuming in moderation suggests intake of not more than 400mg of caffeine for healthy individuals. A typical brewed coffee contains about 80-135 milligrams of caffeine per 8 ounce-cup and a cup of tea has between 30-50 milligrams of caffeine. 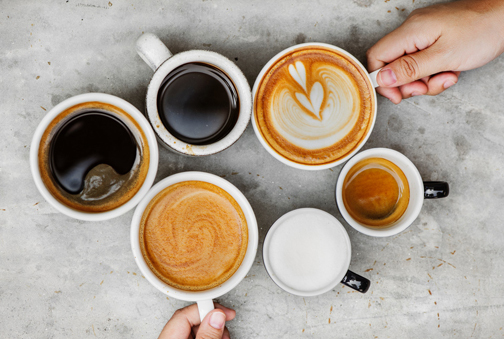 Unless you are caffeine sensitive or restricted to consume coffee due to health reasons, you can have up to three small cups or a venti (20 oz.) size of coffee per day. Some studies have shown that ingestion of cooler beverages reduces our core body temperature thus making us feel refreshed or cooled down in a very hot weather. 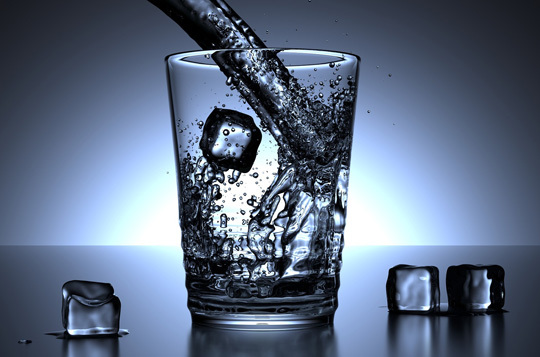 In a recent study done in adults, thirst is reduced when cold water is consumed. It is inferred that the lower the temperature of beverage, the higher their thirst-quenching properties. Also, cold drinks help in regulating our body temperature especially when it is too hot. This helps prevent physiological distress brought about by increased external temperature coupled by increased humidity. As the old saying goes, “A (healthy) man can live for days without food but not without water.” Make it a habit to hydrate even if you are not thirsty just yet. It is our lifestyle and behavior that dictates our hydrated state. Drinking our recommended dose of fluids per day, keeps ailments at bay...especially this summer season. 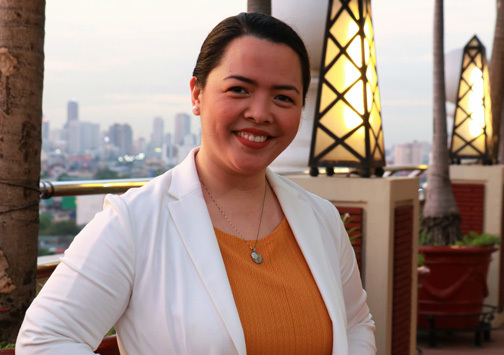 Registered nutritionist-dietician Tiffany Anne Santuyo is a full-time educator at the De La Salle-College of Saint Benilde. She previously worked as a figure consultant for Slimmers World International, a diet coach for FitFactory.com, and nutrition consultant for Alaska Milk Corporation - Royal FrieslandCampina.